It looks like my industry colleagues in the Zhaga Consortium have made significant progress (see also my previous post “gaga for Zhaga” back in 2010). The Zhaga group has started it’s official promotional activities, including adding significant content to its website (including the new official logo!) and announcing seminars at several major upcoming events, including next week’s Light + Building 2012. Light + Building will make an excellent venue for Zhaga’s “debuntante ball”. First, standardized modules will allow fixture manufacturers to innovative more rapidly at the fixture level, launching new fixture formats and topologies with lower risk. Yes, the case can be made that designing custom PCBs (printed circuit boards) allows absolute freedom in fixture design; however, the added time and development cost, long-term maintenance concerns, and added difficultly with meeting compliance standards thwarts industry-wide customization. 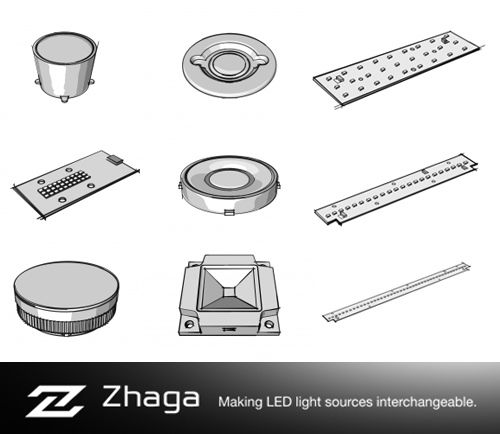 But with the large range of module types that the Zhaga members have proposed and came to agreement on, there is plenty of room for fixture manufacturers to innovate. 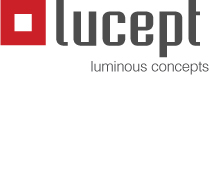 Second, the industry is undergoing radical transformation, with dozens of new entrants launching LED product. Right out of the starting gate, dozens of Zhaga-compliant products will be launched nearly simultaneously for each module style. This will lead to fierce competition, driving manufacturers to offer better and more differiated optics, output levels, and control options, not to mention price. Ironically, the LED manufacturers that will be most successful in the long run will be the first to deviate from the Zhaga standards. Once they prove market viability for those deviations, they can return to Zhaga and propose those as new standards. But they will have first-mover advantage with the fixture manufacturers. It will all be very Darwinian in nature.